I was entrusted with this quilt which I have named Prairie Rose from the quilt collectors Bernie and Eileen Donnelly. When I first saw this quilt I could see that it had been well made, the button hole stitching on the appliqué and the hand quilting with a perle thread was extremely well executed. Although faded over time the colours are still very pleasing – soft apricot, green and blue on the white background. There were two rather large holes and the curved blue binding was in tatters. The quilt was reasonably clean considering it has such a large area of white and had obviously been well used. 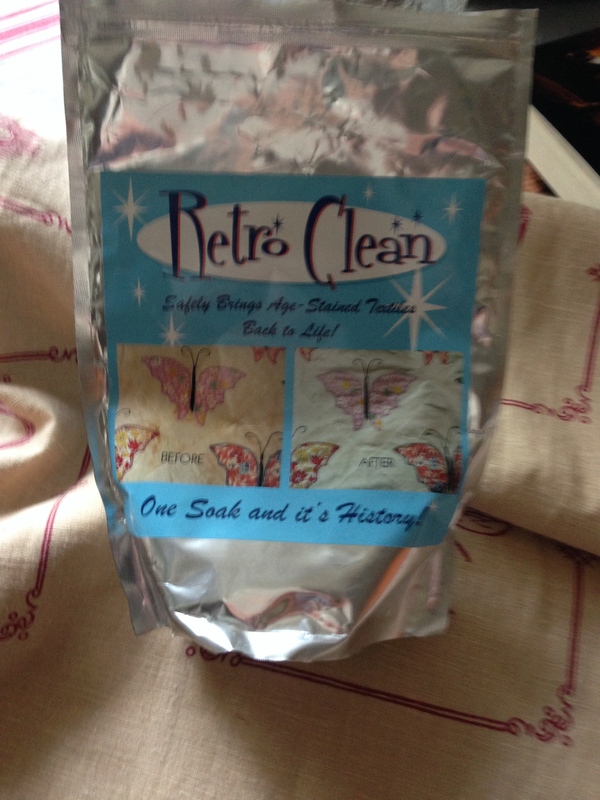 I decided to give this quilt a soak in Retro Clean to remove some of the stains and to generally freshen it up. 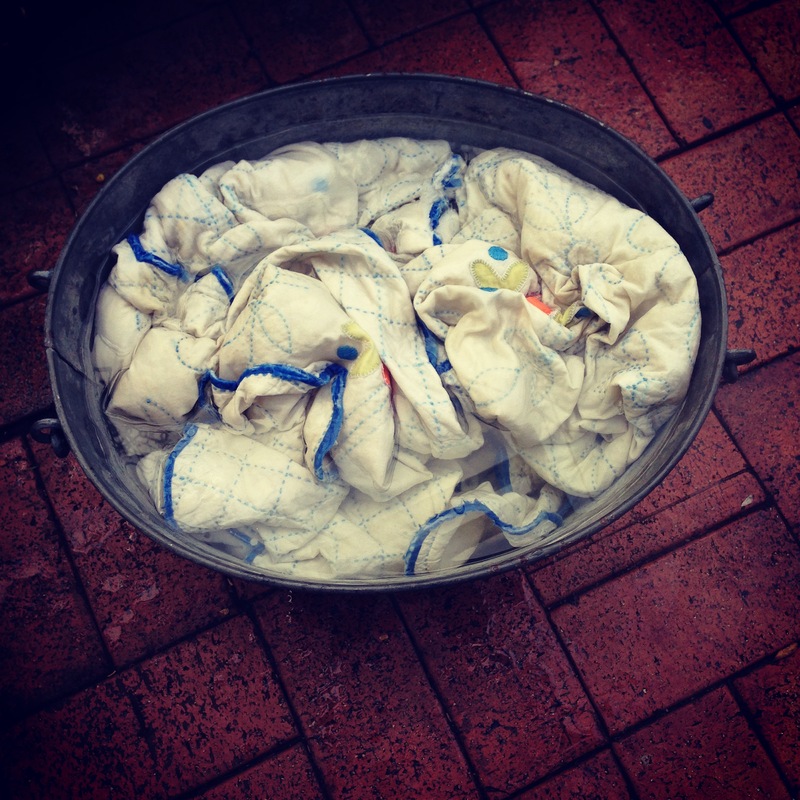 After a good soak in the old wash tub I transferred it to the washing machine and washed it on the gentle cycle. 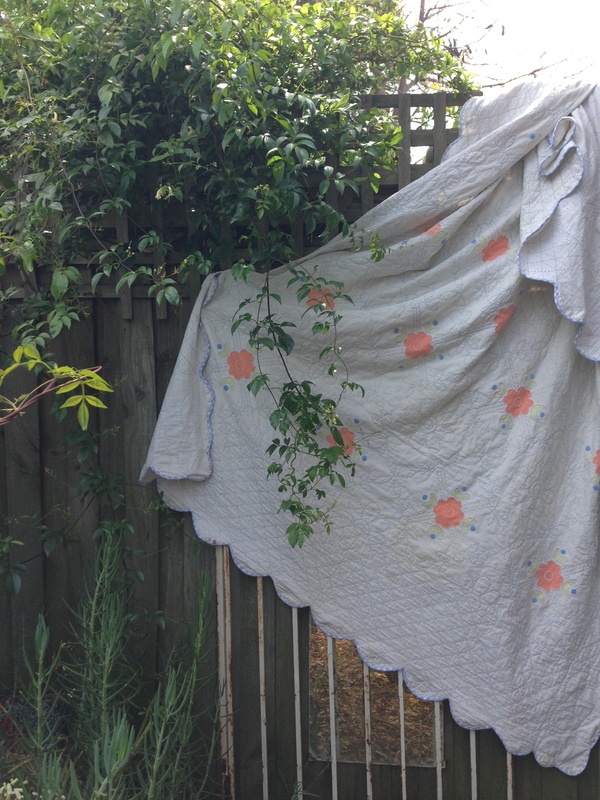 As it was a nice sunny day the quilt dried very quickly and I could plan the steps for repairing it. I decided to cut off the old binding. 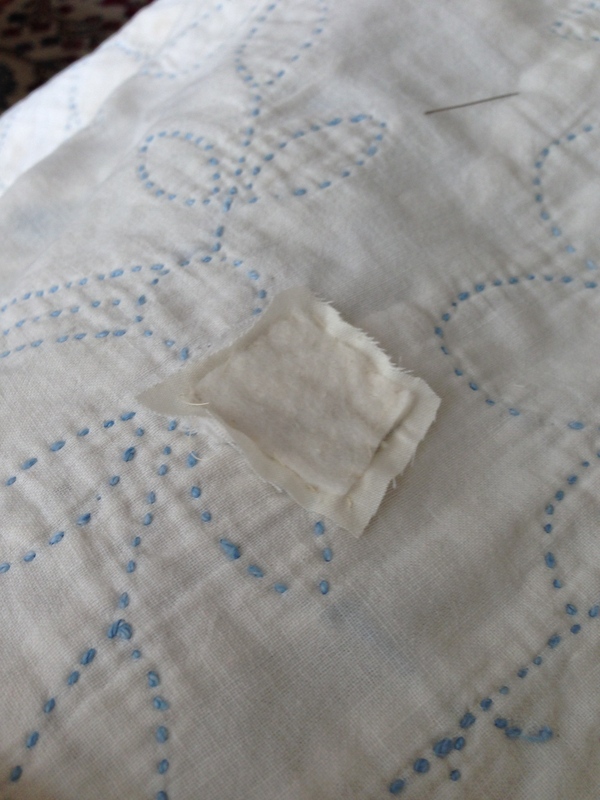 This also removed some of the damaged areas which were near the edge of the quilt. There were two large tears remaining, that I thought I would be able to patch. Apart from that the quilt was looking very pretty. 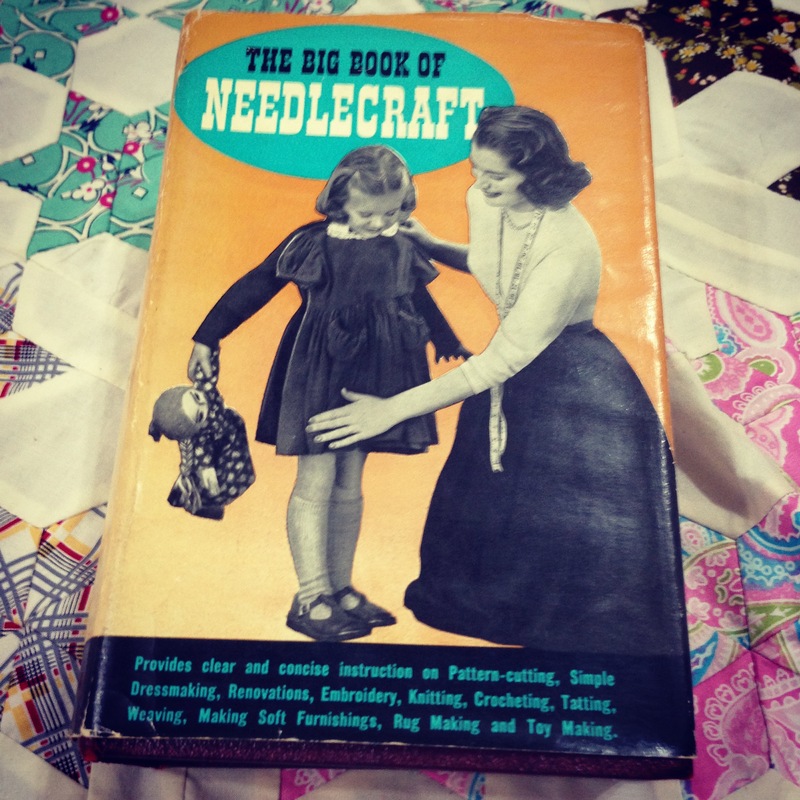 Following the steps on patching in The Big Book of Needlecraft I proceeded to repair the damaged areas. The next step in repairing the quilt was to re-do the binding. Rummaging through my collection of old fabric and trialling a couple of blues, I found a nice old, blue gingham. Gingham is a favourite of mine and it has a timeless quality. I cut many metres on the bias and machine stitched it onto the quilt. The hand sewing of the curved binding was a slow but rewarding process. I was very happy with the fresh look the gingham provided. I now have a lovely new/old quilt. I think this quilt was made circa 1940s. 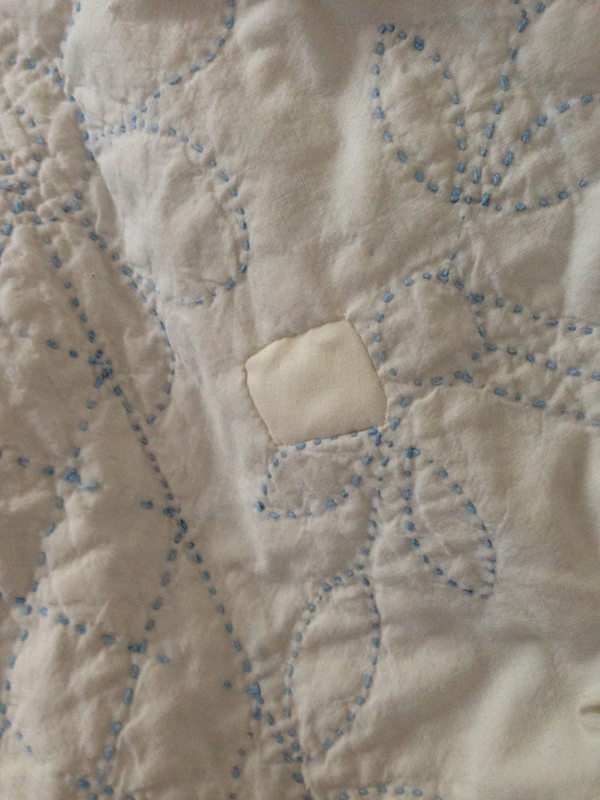 It was probably a kit quilt with the quilting and appliqué placement pre marked. The original quilt maker chose thicker threads to appliqué and quilt with, giving this quilt another dimension in texture and colour. I haven’t been able to identify an exact pattern name for this design but I think Prairie Rose suits it very well. I thank the quilt maker of the past who so lovingly stitched this quilt and I hope I have honoured her workmanship and I will enjoy having this quilt in my collection. Happy Quilting from Janette, A Plain Needlewoman. 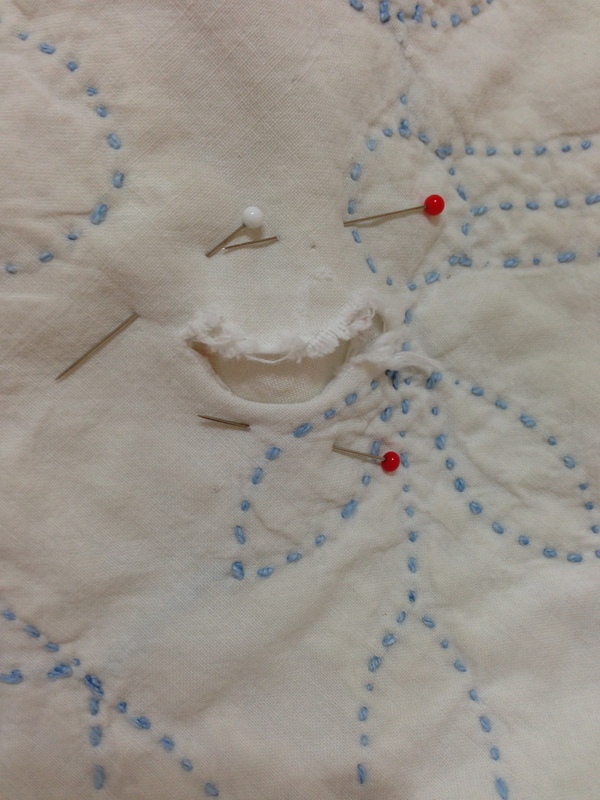 Lovely work on patching ! 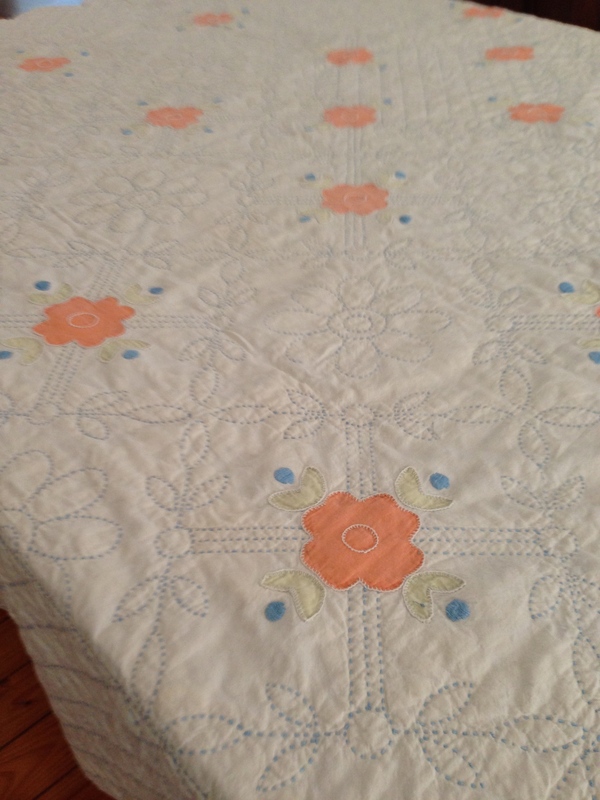 The quilt is beautiful,I like the way the quilter used blue thread to quilt. The blue thread is quite thick, I think it is similar to Perle Thread that is popular for quilting now. The stitching is very regular as is the buttonhole stitch. Happy Quilting! A lovely blog post. 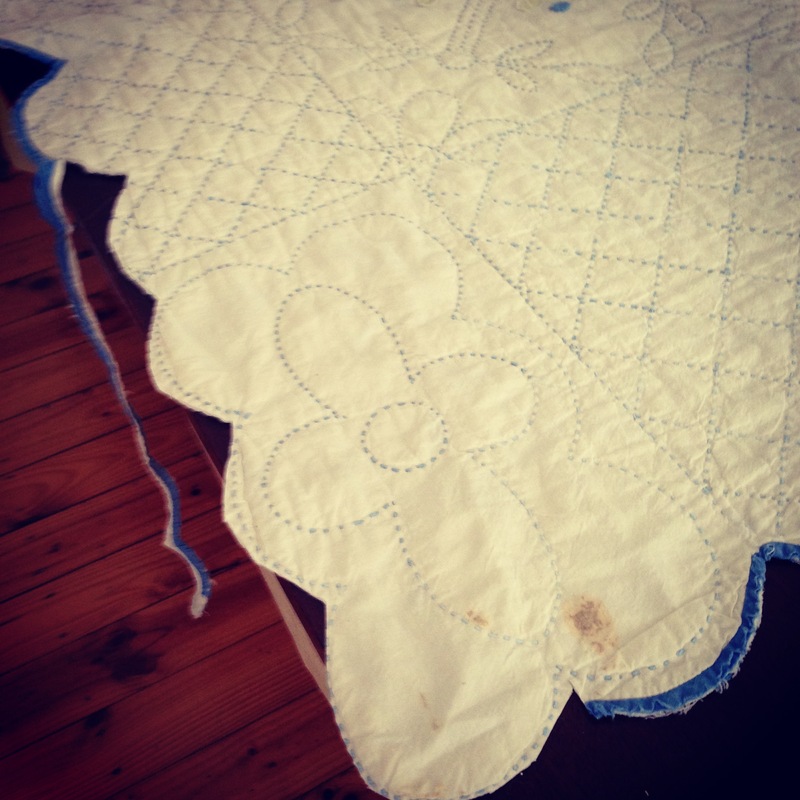 So interesting reading about your vintage quilts, keep these post coming. Thank you, glad you are interested in vintage quilts.